You are browsing the archive for 2019 January 28. Begging. Blacking boots. Dodging angry, drunken adults. Living on the street. The 35 children who gathered at New York’s Children’s Aid Society in 1880 all had stories of deprivation and abuse to tell. Now, their ragged clothes had been stripped from them and replaced with sturdy new clothing and coats by aid workers. It was time for a long journey west. “No mother’s tears were shed over the departing waifs,” wrote a reporter from the New York Daily Tribune, “no father’s counsel was given to the boys who were about to enter upon a new life.” That new life awaited them in Iowa, where they would arrive after a days-long train trip that swept them from urban New York to the rural Midwest. There, the Children’s Aid Society workers hoped, they would be adopted by families and put to work in fields and on farms. They were part of what is now known as the orphan train movement, a sweeping attempt to protect homeless, poor and orphaned children in a time before social welfare or foster care. Organized by reformers in the Eastern United States, the program swept children westward in an attempt to both remove them from the squalor and poverty of the city and help provide labor for farms out west. Between 1854 and 1929, up to 200,000 children were placed on the trains and adopted by new families. But though many children did ride to better lives on orphan trains, others did not. Orphan trains were the brainchild of Charles Loring Brace, a minister who was troubled by the large number of homeless and impoverished children in New York. A massive influx of new immigrants had crowded the city, and a series of financial panics and depressions in the late 19th century created unemployment. Meanwhile, cheap housing became harder to come by. 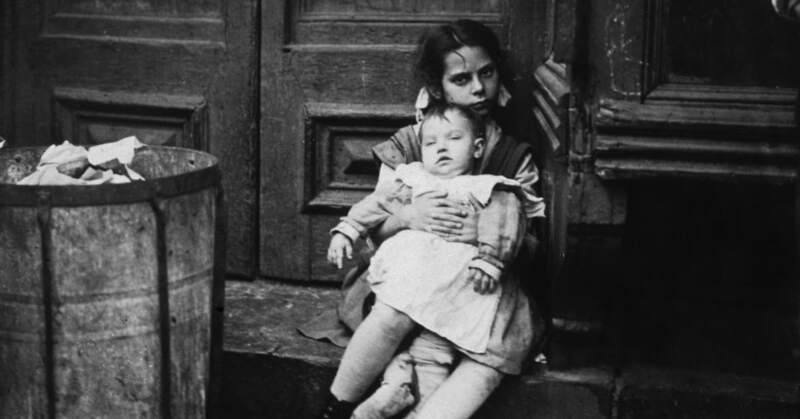 As a result, tens of thousands of destitute children ended up on the street. Since there was no social safety net, there was no organized way to reach individual children or provide them with welfare or social services. Brace wanted to change that. Well-trained, heavily-armored knights represented a triumph of military might during the Middle Ages. There’s no more iconic symbol of medieval Europe than the knight: clad in shining armor, jousting with his rivals, wearing a token of his lady love. But knights were far more than romantic figures—they were a triumph of military technology. Accounts from the Middle Ages describe the well-trained, heavily-armed warriors trampling through enemy forces while chopping off limbs and heads. 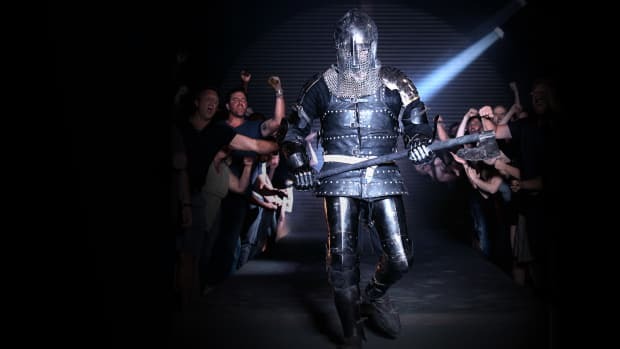 New episodes of Knight Fight premiere Wednesdays at 10/9c. Watch here. One of the earliest and most significant victories for knights in the Middle Ages was the Norman conquest of England, and a lot of what we know about that fight comes from William of Poitiers (c. 1020 – 1090). Trained as a knight in his youth, William went on to become a priest and scholar. When William the Conqueror invaded England in 1066, William of Poitiers was his chaplain. Later, he provided a well-known account of the king’s life and the conquest. The priest didn’t hesitate to flatter his king in his writing, describing his charge into battle with gleaming shield and lance as “a sight both delightful and terrible to see.” But, despite his biases, William of Poitiers worked hard to get his facts right. For example, his account of the Battle of Hastings—a triumph of mounted knights against an Anglo-Saxon army made up mostly of infantry—is based largely on eyewitness accounts from soldiers who fought there, providing one of the most important sources for modern historians. (c. 1043-1099) Rodrigo Díaz, more popularly known by his title, El Cid, is best-remembered as a hero of the Spanish Reconquista, leading Christian forces to victory over Muslim rulers in Spain. But his real story is a bit more complicated. Rodrigo Diaz, also known as El Cid. Born into an aristocratic Castilian family, Díaz became a prominent military leader serving two kings of Castile. Later, though, he spent more than a decade fighting mostly as a mercenary, putting himself at the service of a number of Muslim leaders and earning great wealth and fame. As a commander fighting for the taifa of Zaragoza, an Arab Muslim state in what’s now Eastern Spain, he defeated both Muslim and Christian armies. Abe are waiting for their first. enjoyed a place of honor alongside Xi. “friends” as well as enemies. despite China’s desire for a nuclear-free Korean peninsula. no doubt who they meant. reunification, which would leave U.S. troops along the Yalu. Rather, Beijing desires a more pliant and responsible ally.